The 19th and 20th of October saw the Cross-border Heritage Project roll into Donegal. 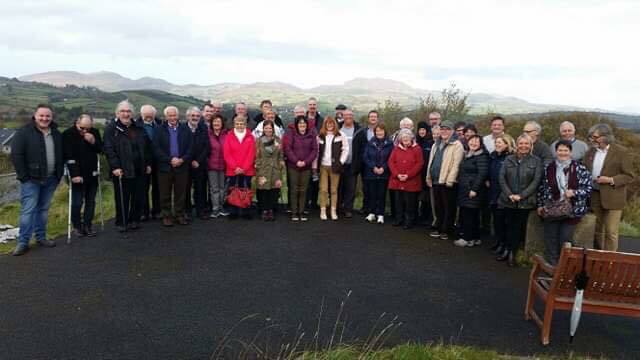 This was the second gathering of the group, and again Fahan Heritage Group were well represented amongst the history enthusiasts. 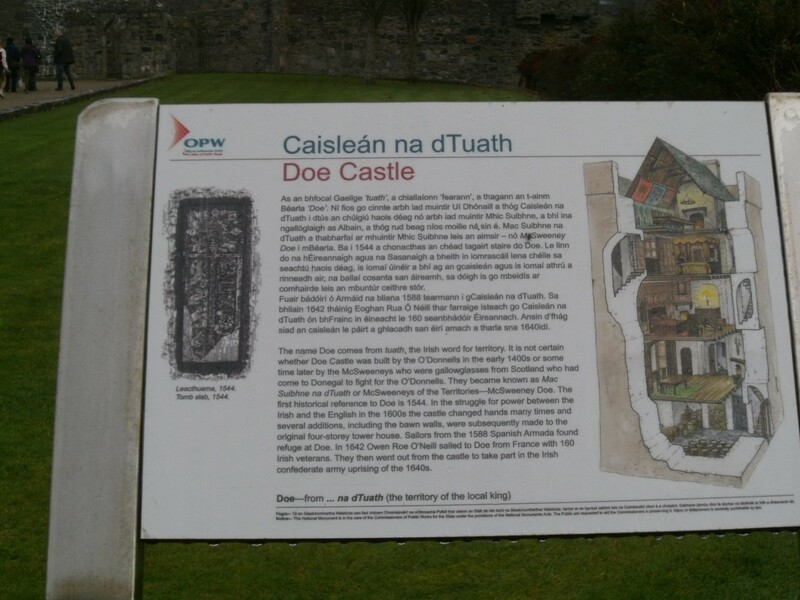 The first stop for the tour was Doe Castle, on the shore of Sheephaven Bay. After the castle visit, the group were bussed southward to the inauguration site of the O'Donnell clan - The Rock of Doon, at Termon. 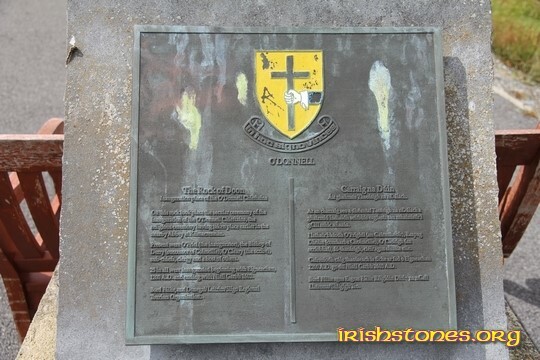 A plaque marks the spot where the ceremony was held. 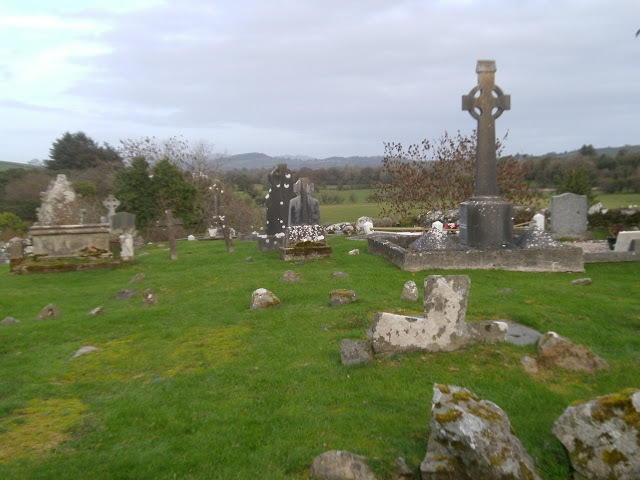 The final stop on Friday was the site of Kilmacrennan Friary. Although a Franciscan friary was established here in the 16th century, the site was home to an abbey established by Saint Colmcille in the 6th C., which also played host to inauguration ceremonies. The friary was dissolved in 1610 and later, in the 1800s, it was home to a COI church. Saturday rounded the event off with a discussion workshop at the Mount Errigal hotel, Letterkenny. Good vibes are reverberating through this cross-border coalition and no doubt new findings, and theories, will emerge from the events.